It is a great day to everis Team. 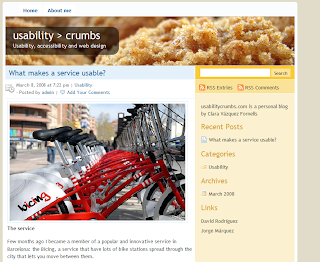 Clara Vázquez has opened her new Blog, usability > crumbs. I invite everybody to read her first post What makes a services usable? about Bicing Barcelona service.